I admire Bad North for its simplicity. 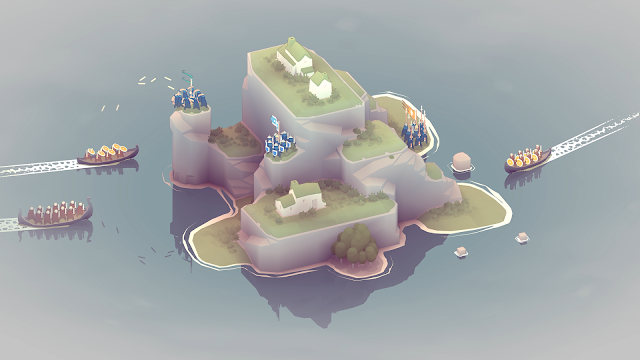 There are islands, there are hordes of invading angry vikings, and there's you. These aggressors have killed the king and you must journey home to claim your seat on the throne. Along the way, you will defend unprotected settlements while building your army to repel those who've raided your shores. Bad North's campaign is set across several dozen bite-sized levels. You'll arrive on an island where you must organise battalions of troops into positions that will aid your defense. Enemy units approach in boats and will burn homes to the ground once they come ashore. Your aim is to keep your armies alive while also preserving as many houses as possible. Developer Plausible Concept describes the game's take on real-time strategy as "no fight for victory, but a desperate grasp for survival" and this would be an accurate tagline. Your soldiers are adept fighters, but they're not invincible; casualties are an absolute. It's a good idea to ensure this doesn't happen, because they won't respawn. Losing an entire battalion means they're permanently gone from the campaign. 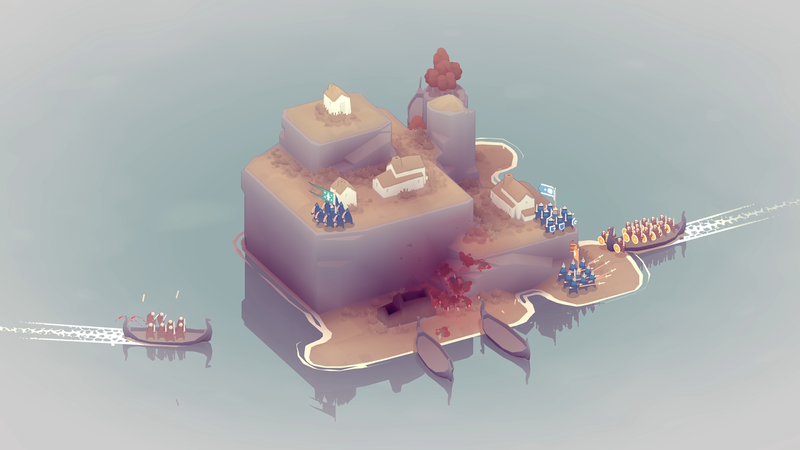 You'll use soldiers, pikemen and archers to defend the islands. Soldier units are good at general combat and offensive attacks whereas pikemen are less proficient at fighting but make for skilled defenders. Archers are useful when placed up high, able to shoot at boats and kill enemies before they've even reached the shore. 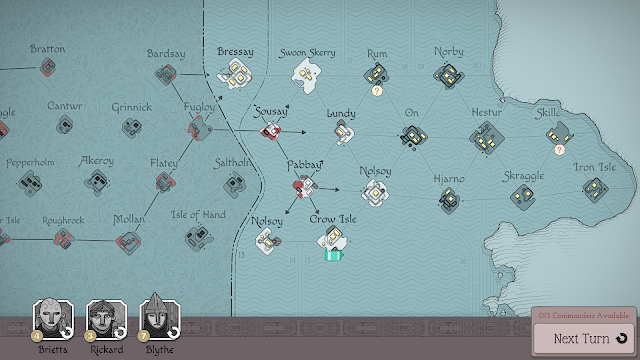 It becomes a matter of using the layout of the map and the locations of the houses to work out the best defense strategy, which isn't easy when enemy boats can come from any angle. Best of all, the AI itself is excellent. Since you can only move units, it's up to you to position them in areas where they can decide for themselves where to attack. At first, I thought this wouldn't work and would end up frustrating me, but it works really well as they behave exactly how you'd want them to. The outcome of every skirmish persists within the world. If you have a successful defense, your surviving troops will move on. If not, you lose the island and any potential reward. 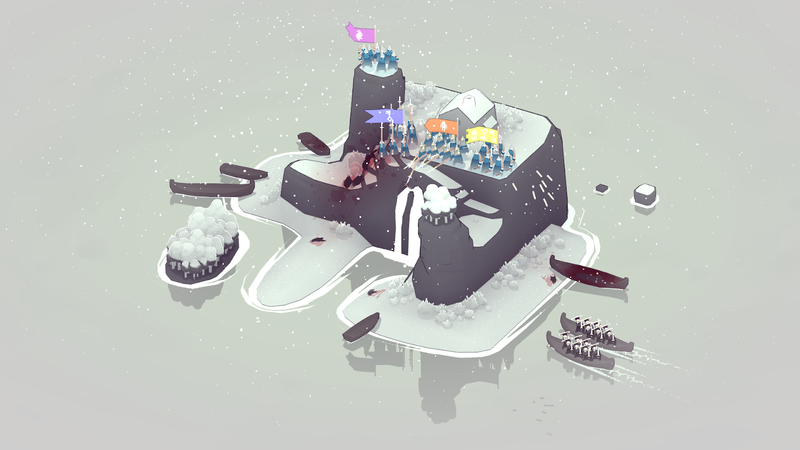 A major aspect of Bad North's design is its roguelike structure. Everything from the layout of the islands to the attack patterns of enemies is randomised. This ensures each playthrough is different while keeping consistency, allowing for multiple playthroughs. Despite this, I don't think the game has enough variety in its levels to encourage replays once you beat the campaign. There are attempts to shake it up by introducing new enemy types, but you're still playing the same types of missions. Another weak part of Bad North comes in its progression system. Surviving houses will yield gold coins at the end of each level, allowing you to purchase skills and upgrades for your units. The problem is you can't allocate these outside of that end screen, and there isn't a way to see how many coins are needed for an upgrade here, making it guesswork as to where to put your cash. It makes levelling up a much bigger inconvenience than it needs to be. One of my favourite parts about Bad North is in the aesthetic. There's an excellent duality to the graphics, with the game featuring lush green environments that eventually become devastated red graveyards as war ravages the land. As the drums kick in and enemy boats approach the shore, a foreboding sense of danger is formed. It's an interesting juxtaposition that highlights the brutality of combat while also allowing you to develop an emotional connection with your armies. I don't know if I'd call Bad North a great game - it suffers from a major lack of variety - but it can be fun. Its short-form missions are suited to short play sessions and the visuals are wonderfully done. But as a mesh of both real-time strategy and roguelike games, it doesn't really succeed as either.